The Ford GT is an American supercar built to commemorate Ford's Centennial and their four consecutive Le Mans 24-Hour races in the 1960s. It feels, looks and drives like a car costing much more than it does. The GT only comes in one model, one engine and one transmission. It's a two-door, two-seat, much-massaged and softened rendition of the purpose-built racecar that won Le Mans. The engine is a high-tech, supercharged, midship-mounted, 5.4-liter V8 making a truly scintillating 550 horsepower and 500 pound-feet of torque. It comes with a six-speed manual transaxle. Standard safety equipment includes frontal airbags, antilock brakes, a child seat tether bracket and latch assembly on the passenger seat and a tire inflation kit in lieu of a spare tire. 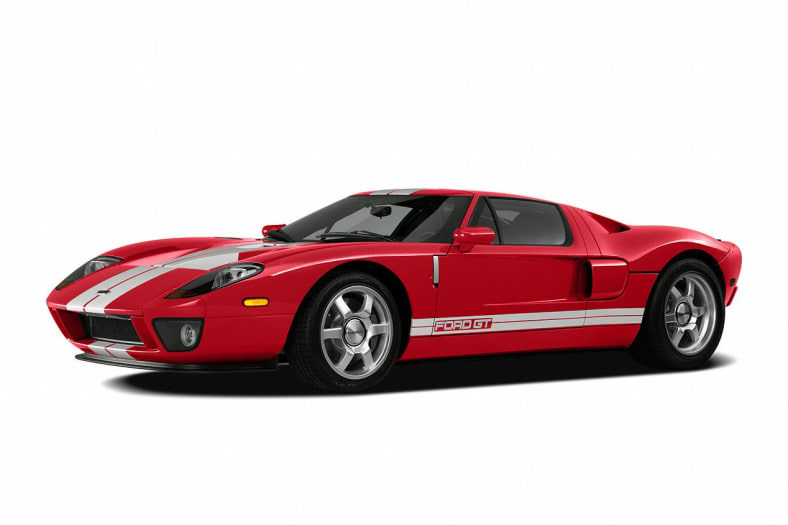 The Ford GT is a carryover from 2005.